Hey, everyone! 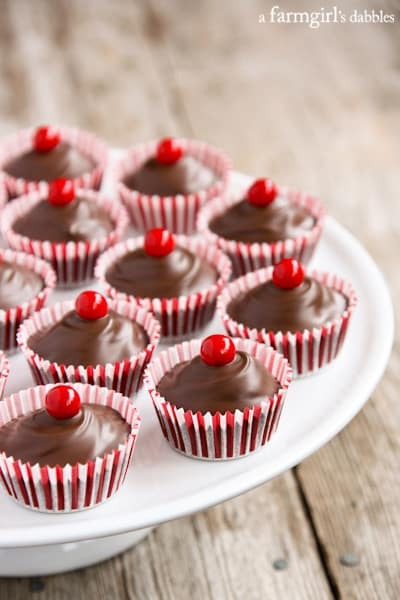 Do you remember these Chocolate Cherry Candy Cups that I shared with you last week? Topped with shiny red Sixlets candies, they’ve already proven to be a popular little treat, both in our home and out. And then I woke up to a message in my inbox on Monday morning, an email from SweetWorks. The company who makes Sixlets, one of my most beloved candies in the whole wide world, told me they were “thrilled” by my post. And they are offering a package of their sweet Valentine’s Day treats to one super lucky winner! Maybe it will be you?! Did you know that you can buy Sixlets in bulk and in smaller shaker jars, in all the colors of the rainbow?! They are the perfect little candy for celebrating special occasions and holidays, so easy to customize to any event. I had fun looking through all the treats that SweetWorks has to offer. Have you ever tried a Dark Orange Break-A-Part? I used to love cracking open that sphere of chocolate to eat it slice by slice, and was surprised to find that they now come in so many different flavors! To enter this giveaway from SweetWorks, simply use the automated entry form below! Giveaway rules: This giveaway is open to US residents 18 years and older. One winner will be chosen at random and then notified by email. Please note that this giveaway ends at midnight on Saturday, February 8th, to allow time to announce a winner and get them their prize by Valentine’s Day. Winner will have just 24 hours to respond and claim their prize, or another winner will be selected. A farmgirl’s dabbles and SweetWorks are not responsible for lost or undelivered emails. 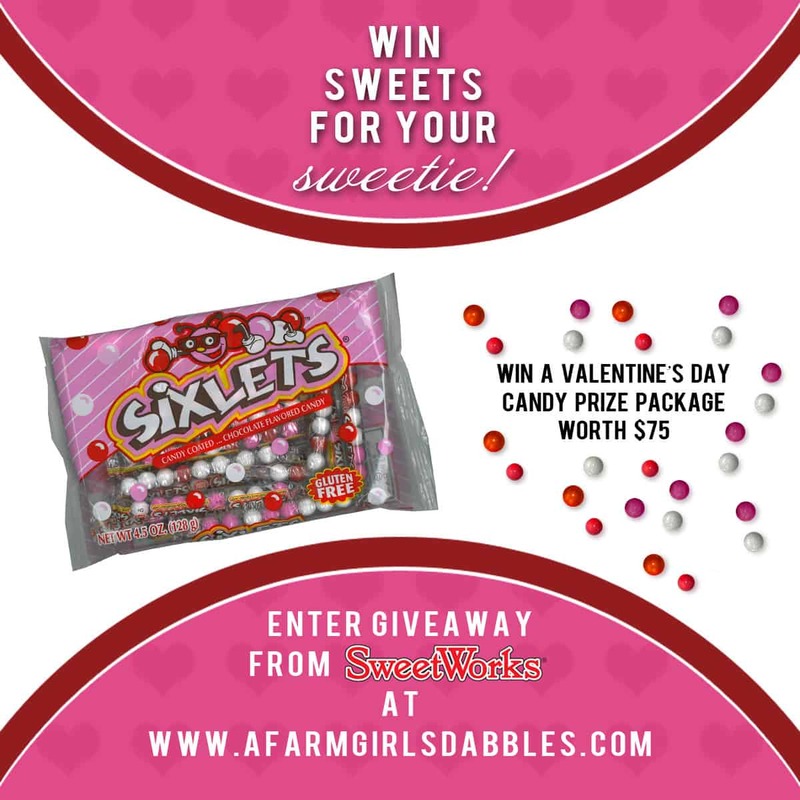 Disclosure: Thank you to SweetWorks for providing us with fabulous candies…I ♥ Sixlets!…and this super fun giveaway prize for our readers. All opinions are my own. OVER? If it’s over, please take it down so we don’t read through the whole thing, getting excited about the outcome only to find out we have no chance at winning after all! I’d share w/my Sweetheart of a daughter! I would share with the love of my life, my wife! I would share with my four kids (ages 16-31) and my grandsons. Thanks for the giveaway. My husband would love these and I would definitely share them – well, some of them, LOL. I’d share these with my hubby and also our friend who is a disabled vet living in assisted living complex. So cute! I love Sixlets, I was just eyeing the pink ones at the store yesterday! I would share them with my boys! I’d share them with the sweet guy I’ve been married to for over 30 years! I would share them with my friends and family. I would use them and share them with everyone! If I won the Sixlets, I’d send them in valentine care packages to Graham and his friends away at college. I’d share it with my husband. He has a huge sweet tooth! I would share with my daughter and sister we love to bake! I’d share with my husband and kids. If I were to win, I would share my sweets with my husband. I would love to share this prize with my husband and my sons. They are the real candy eaters in this family. I’m just a taster and sharer! I would share them with all of my coworkers! I would use them to make those cute chocolate cups for my church kids! I would share with my boyfriend and my mom! It would be shared with my son, the grad student. A lover of any kind of candy. What a great giveaway! I have never had the pleasure of trying these and would Love to try them. I would share these with my 2 grandsons! I’m sure they would Love them! I’d share with my toddler and my hubby! I would share with my boyfriend hands down, but I would also be excited to take some treats to my coworkers because we all love to share treats with each other, and I’d love to share my winnings with them! Sounds perfect for my boyfriend. I would share with my valentine, of course! I’d share with my husband, of course! I would share it all with my grandchildren! Ihave some sweet great neices and great nephew who would love this wonderful cand. One of my childhood’s favorite. My co-workers could really use a treat. There’s certainly enough to share with my wonderful husband and grandkids! Easy peasy. ThAt would be my soulmate and the grandson Tadpole. Thank you for the chance! Can’t wait to try these candies. I’d share with my grandkids! Would be great to give to my grandkids! I would share these with my family and boyfriend! I would share them with my hubby. Maybe a 60 / 40 split. :) Thanks for the chance to win. I’d share them with my mom. I’d share these with my grandkids. I would share this with my kids and make cookies and cupcakes and make great memories together. I will share with my coworkers. I will share it with people from my work. Sugar makes us move faster! I would share them with my friends! My hubby because he is a candy freak! I’d share this with my roommates! I would make treats for friends and my sons first grade class! I would share with my sweetie! He is always doing something nice for me. I would share with my husband and my dad. I would share with my friends at work! What a fun give-away! Would love to win. I would share these with my students for our Valentine Day Party! I have 18. They would absolutely love it! With my fiance and son! What a fun giveaway! I would share with my work friends! My son who has definitely inherited my sweet tooth! I would share with my husband. He loves Sixlets candy! I would share with my husband and two sons! Sixlets are my fav, says this pregnant lady!!! I would share my sweets with my bestie (and perhaps the boy). Hmm.. hard one..I would MAYBE share them with my fiance and the kids..lol I know, I know, bad me,. but I love them soooo much!! My hubby and grandsons would get their fair share I am sure. I will share the candies with my husband, daughter and grandson. I would share that with my family. I work at a school, so all of my office mates and some of my stellar parent volunteers – YUM! 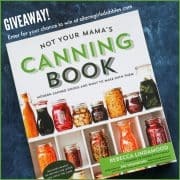 I would love to win this giveaway, so I can share it with my amazing husband of 33 years. I have 11 grandchildren; this would be enough for all of them! I’d share with my office mates! My girls…ages 4 and 6. They would dive into this package like nobody’s business! I will share them with all of my friends at work! I LOVE Sixlets, and might have a hard time sharing, but I would definitely share with my own 3 kiddos and hubby. The 8 bear pops would be gifted to my daycare children. The “champagne bottle” would be saved and used with the celebration of the birth of our fourth child due in August. The peanut butter hearts would go to my husband. Peanut butter filled chocolate is his favorite. I’d share with my boyfriend! I would share with my family and friends……and, the snow plow guy! He’s really working hard this winter!! LOL! I would share with my husband and grandsons! They love sixlets! I would share them with my husband! I could be persuaded to be nice and share with hubby and the girl child! I’d share with my 3 kiddos! I would share this with my kids, husband and parents. I would share with my son and husband, and also with my son’s teachers – they can always use a little happy surprise! I would share with my two sons. They love Sixlets! There is no Entry Form?? 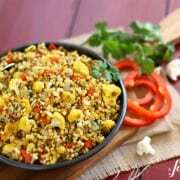 I have never heard of these but they look amazing. I did print the recipe last week to fix for my granddaughter’s visit for Valentines Day. I would have been hunting them down. Thank you for the information too! I would share with my many grandchildren, what fun! I’d share with my family! I would share the candies with my hubby and my family. The grandkids really like candy! What a sweet treat! I would share them with my husband – we each have a sweet tooth! Though using them as decoration for cupakes or those cherry bombs would be cool, too. i think i’d have a cookie decorating party and host all my nieces – i have a lot of nieces! and three little girls of my own… we all love pink! I’d share the sweets with my fiance! i would have to make it a whole family affair. mom, dad, husband, sister, and brother in law included. I’d share with my 3 silly, sassy, sweet granddaughters, of course! I would share them with my friend’s kindergarten class. I love sixlets so much too. I always hide them from my kids so I don’t have to share. I’d share with the guys (and couple of girls) at the fire station! I would share them with my husband, kids, and lovely coworker. My co-workers! They all work so hard, it would be fun to make their Valentine’s day a little sweeter. I would share these sweets with my sweet my hubby. My kids would share with me, because they would glom on to this prize as soon as it showed up! I would share with my husband and family. thanks!! I would share with my students. My husband and kids because I love them. 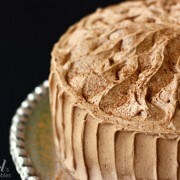 Although, with that much chocolate maybe I would have to have a party to share it all! My kids! They’re in their 20’s but still like Sixlets!